BW883 long distance wireless lock system uses SUB-GHZ wireless sensor network technology to achieve real-time communication and data exchange between locks and management computers, which communication frequency is 470-525 MHz. Guests can open the door lock by the mobile phone APP, ipad, RF cards and other methods. It is very convenient! The BW883 series can be used in both LAN network and WAN network. 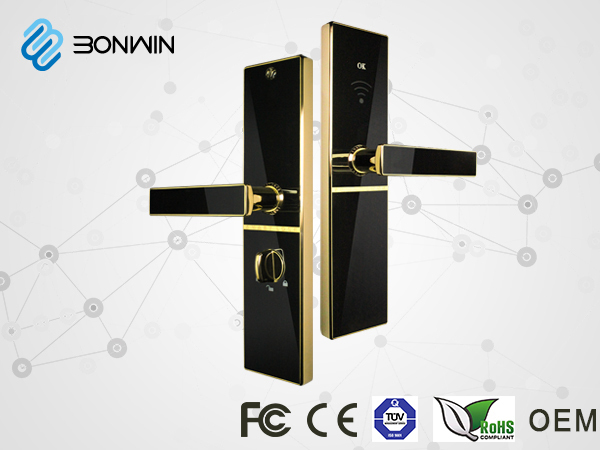 For guests, they can operate easily BW883 long distance wireless lock.